Cat id Name Tag | Cat face Black | Deep Engraved. Black Cat Face shape pet id tags.. 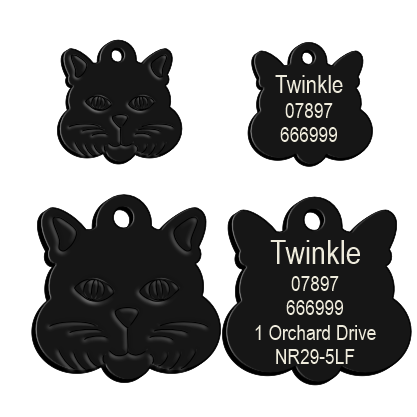 These Premium Coated Black Cat Face Pet ID tags are the genuine hard wearing tag from the USA.